Vehicle access to this area is limited to the winter season when winter roads, roads built upon the frozen ground, are established. Always prepare your vehicle and yourself for extreme winter conditions. As a safety precaution, personal vehicles should be equipped with radio’s to maintain contact with working truck traffic. All vehicles accessing this area should also carry chains and have 4 wheel drive capabilities. Hikers and campers should be prepared for all weather conditions in this changeable climate. Always carry first-aid equipment and extra clothing and food. Water sources in the backcountry may carry giardia or other parasites. Boil or filter all water when in the backcountry. Please remember this is bear country. These animals are powerful, unpredictable and extremely dangerous. This protected area is situated on the shores of Ekwan Lake and can be accessed by automobile only in winter. Just getting to this protected area is an adventure! Between spring thaw and winter freeze during periods of high water, float planes may land on the open water of this shallow lake. In winter however, four-wheel drive vehicles must travel there via the Sierra oil road south of Fort Nelson, then via Westcoast power line winter road to the north end of the lake. Once there, visitors can relax, enjoy the wilderness and take part in some spectacular fishing. There are no roads to this protected area during the spring, summer, and fall seasons. Temporary ice roads are built during the winter. These roads are frequented by heavy trucks and machinery. Radio communication with the correct frequencies are required to remain in contact with these vehicles. Ekwan Lake Protected Area is located approximately 175 km southeast of Fort Nelson and 35 km west of the Alberta border. History: The Ekwan Lakes were identified as a Protected Area in the Fort St. John Land and Resource Management Plan in 1997. Cultural Heritage: Doig River First Nations. Conservation: Ekwan Lake Protected Area is situated in the Fort Nelson Lowlands which includes the Clear Hills. Boreal white and black spruce forests surrounds Ekwan Lake. The lake is shallow and provides ideal habitat for walleye and northern pike. Wildlife: Moose, caribou and black bear are the most common species observed in the park. Visitors to this Lake during the summer season can canoe or kayak on this shallow lake. All boats must be flown in and out. Anglers can try their luck for Arctic grayling, bull trout, inconnu, whitefish, Northern pike and burbot. Anyone fishing or angling in British Columbia must have an appropriate licence. Riders should be experienced and prepared for wilderness travel, as there are no designated trails. 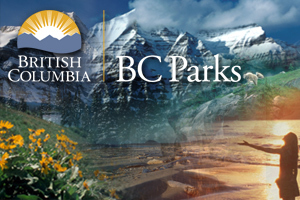 Persons wishing to ride horses in this park must first obtain permission from Parks and Protected Areas Program, Peace Region at: 250 787-3411. Please mention the name of the park when calling.